Many independent game-development studios choose to partner with companies like Microsoft for access to resources and capital. That’s what Seattle’s Undead Labs did with its “State of Decay” blockbuster and its just-released sequel. The clouds look wrong. Too dull, maybe. Or too flat. Something is just slightly off. Four employees of Undead Labs peer at a paused video-game screen showing a backpack-wearing woman, clad in army gear, running down a hill — presumably trying to gather supplies as quickly as possible before drooling zombies catch up with her. But the four employees — engineers, designers and producers — are not concerned with the zombie horde. They want to know what’s up with those clouds. And while they’re at it, the blood splatters on that old shed look a bit too shiny to be true. It’s January and the staff of Undead Labs, an independent game-development studio based in Seattle’s Pioneer Square, are four months away from the May 22 launch of “State of Decay 2,” the post-apocalyptic survival-game sequel to its surprise smash hit “State of Decay,” which debuted five years ago. It’s the stage of game development that involves a lot of hunting and fixing for the Undead team. It’s spending hours every day in a living-roomlike suite within the office, playing the game on comfy couches and chairs, and trying to discover and solve as many bugs, or glitches in the game, as possible before gamers get their hands on it. He noted the bug and sent it over to a colleague to determine what happened and fix it. At this stage, the company has paused creating new features and missions for the game. Adding more would inevitably create more bugs, and there isn’t time for that before launch. The company is in the end run of a four-and-a-half-year stint in which the staff of about 60 people have existed within a world they dreamed up and brought to the screen with masterful knowledge of art, real-world physics and advanced design. But it’s also a big business. Creating a video game today means making an experience that will likely be played by millions of people, and will be updated for months or maybe years after it is first released. Thousands of people gather to watch others play in tournaments, and advanced gamers have become celebrities on par with professional athletes and Hollywood stars. 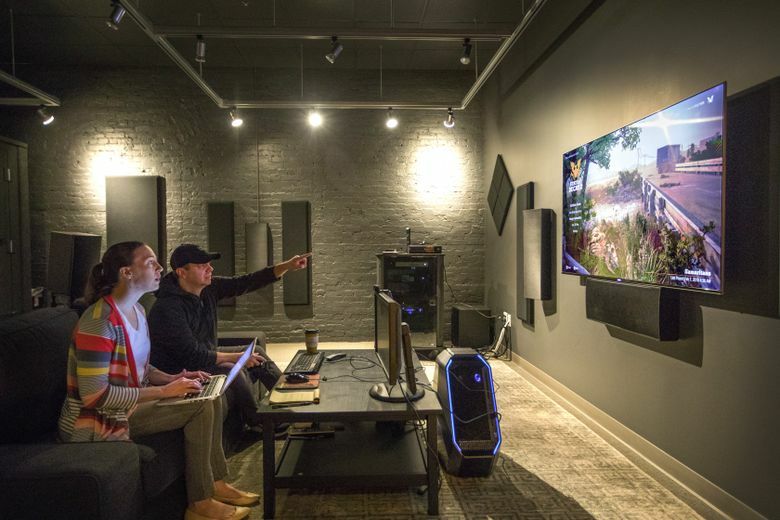 Gaming in the U.S. has skyrocketed in recent years, with people in the U.S. spending $29.1 billion on video games last year, an 18 percent increase from 2016. 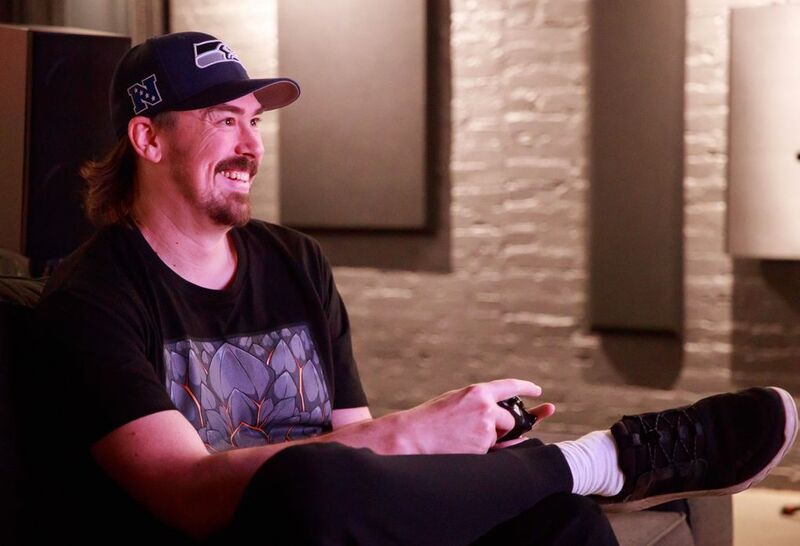 Major players in this burgeoning industry have long been clustered in Seattle, including independent game-development studios that have emerged over the years as it becomes easier to publish games online. Many of these independent studios, however, choose to partner with gaming giants like Microsoft as a way to get access to resources and capital to make the complex games that take years to produce. Undead Labs is one of those independent studios, founded by Seattle entrepreneurs in 2009. It linked up with Microsoft Studios, the Redmond tech giant’s video-game unit, during the development of the first “State of Decay.” The game — available on Microsoft’s Xbox and Windows PCs — went on to sell more than 4.5 million copies, an impressive feat for the first title from a small game studio. Marketing was hardly a focus for that first game. But after its success, Microsoft took a different tack for the sequel, launching a whirlwind PR tour for “State of Decay 2” that sent Undead employees traveling all over the world this spring. The access to Microsoft’s marketing resources, plus the connection to a recognizable name such as Xbox, are a couple of the reasons independent game studios pair up with major publishers. That trend is becoming more prevalent, said Evan Wingren, a video-game analyst at KeyBanc Capital Markets, especially as the cost of developing games spikes. Salaries for game developers have gone up as the industry grows, and the way people play games has changed dramatically in the past decade. It used to be that a physical disc would ship, people would start playing … and that would basically be it until a sequel launched. But now, gamers expect frequent software patches to fix bugs, not to mention bigger updates that add more content and features. Studios have to stay on top of updates constantly. “It’s like the games themselves are alive,” Wingren said. Undead founder and studio head Jeff Strain is well aware of how hard it is to come up with a new idea for a video game. He had worked at Blizzard Entertainment, the big California-based video-game developer, and co-founded Bellevue game developer ArenaNet, and has shipped many games. Still, he knew how careful he had to be when making “State of Decay” and its sequel. 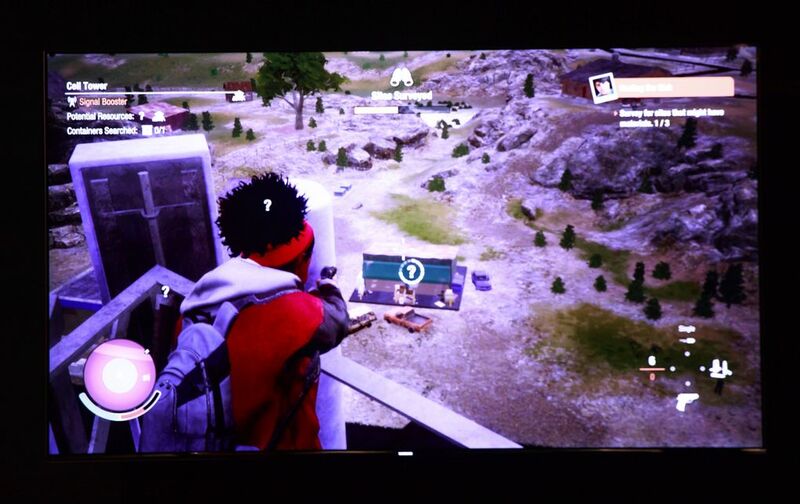 “State of Decay” hinges on themes that have proved popular with gamers — zombies, the apocalypse, action. But it has a few novel ideas as well: The game focuses less on fighting off zombies and more on building a sustainable community for packs of survivors. It also includes “permadeath,” or the concept that when characters die, they are actually dead. No timed regeneration, no bank of lives. At first, Strain and the Undead team wondered if that would make people quit the game out of rage. “State of Decay” is a bit like a “choose your own adventure” book. There is no prescribed storyline, instead players’ decisions determine what will happen to their characters and what fate they will meet. Putting more resources into finding medicine, for example, may mean food gardens are neglected and the community goes hungry. Players should always know what decision they made that caused the next action, Strain says. In other words — if you die, you should know why. Fans of the first game are expecting a lot, Strain knows. And Undead wants to give them exactly what they want — well, what they want that’s feasible, at least. Some got a sneak peek or bought an ultimate version that came with added features and early access, but the majority of fans finally got their hands on the sequel when it was officially released last week. “State of Decay 2” is set in a world much like the first. It’s about 18 months after the zombie apocalypse and players control a community of four players who need to survive. This iteration allows for multiplayer capabilities, meaning two players’ communities can interact. It also has more characters than the first go-round — millions more. They are generated from a giant database of different background traits, skills and demographics, meaning the game system will choose different characteristic for each avatar. 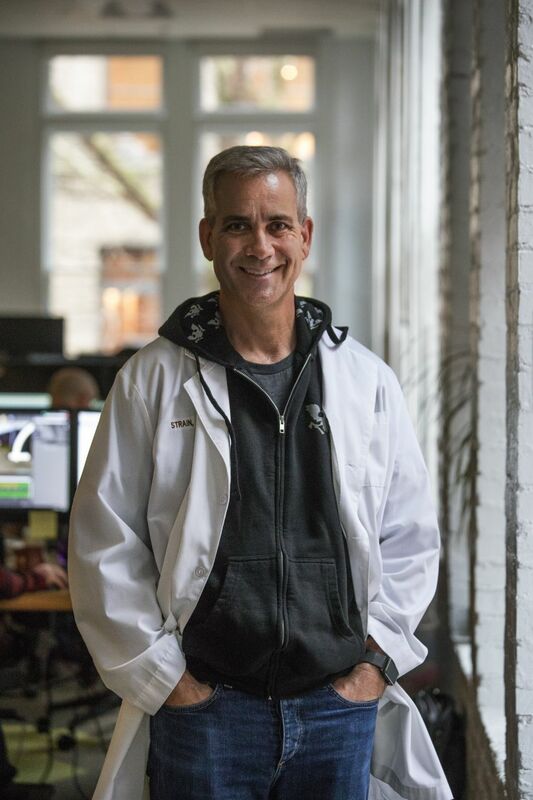 Microsoft took an interest in Undead Labs soon after it began in 2009, a deal Strain credits, in part, to the fact that he and Undead’s other early founders had a history of creating successful games at big studios. It was also that their game idea was too unique to pass up, said Shannon Loftis, general manager of Microsoft Studios Global Publishing, the unit that works with independent publishers. Microsoft has developed many of its own video games, but it also has a decades-long history of partnering with independent developers, starting when it teamed up with Bruce Artwick in 1982 to launch the long-running game Flight Simulator. Throughout the 1990s, the company developed its own PC games and bought computer game firms. That strategy shifted in 2001 when the first Xbox was released, and Microsoft put much of its energy in developing console games. Now, Microsoft Studios develops its own games such as car-racing game Forza, buys developers like Mojang, maker of the popular Minecraft, and partners with independent studios, including Undead Labs. It has produced more than 300 games, both in-house and with outside companies. The division has gained credibility with independent developers over the past few years as it expanded partnerships and support for smaller game developers to make it easy to launch on the Xbox platform. Microsoft’s gaming revenue, which includes hardware as well as software, increased 18 percent during the company’s third quarter, to $2.25 billion. Microsoft CEO Satya Nadella attributed that jump, in part, to third-party game developers building successful games for Xbox. The relationship between publisher and developer is somewhat similar to between art and business — it can generate tension, but at the end of the day, everyone wants the same thing — to create a blockbuster game. At Undead, game producers talk with Xbox employees a few times a week, covering everything from design ideas to new features to future planning. Microsoft gives input, but perhaps the biggest thing it provides is access to testing resources — teams of contractors, up to 35 people, who play the game to search for bugs and give suggestions on what works and what doesn’t. As the game gets closer to premiering, Microsoft markets and distributes the game. Microsoft declined to disclose any details of its financial relationship with Undead. But game publishers likely either invest in the developer and take an equitylike stake in the game, or collect a percentage of the profits from the sales of the game, Wingren said. The middle of the game was mushy. 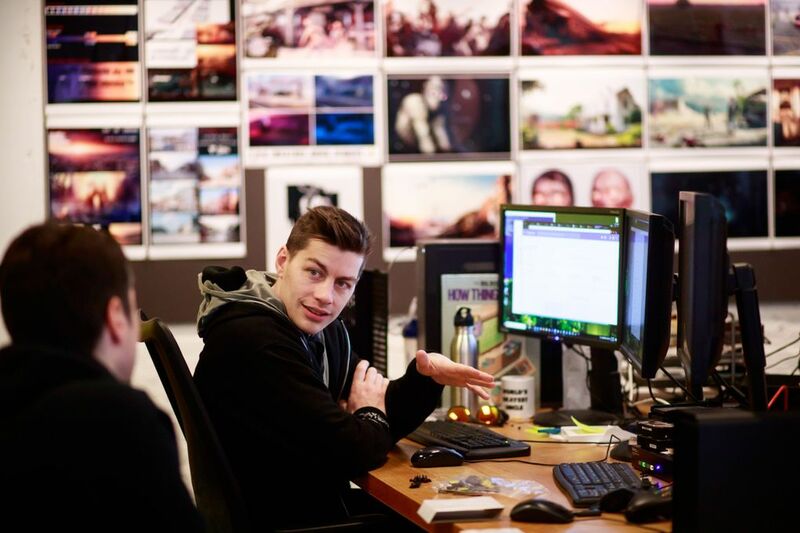 Inside Undead’s studio, software engineers, producers and world designers — who, quite literally, design the virtual world — sit next to each other in a big open office, moving often to work in small teams as projects within the game shift. The staff works in “strike teams,” or groups of people with different jobs who work together to complete a specific feature. It was a strike team that solved the problem of midgame mushiness. The beginning of “State of Decay 2” was clearly establishing setting and story, but once a community is set and has figured out how to grow food and collect supplies, players needed missions. Enter the blood plague, a disease that afflicts characters in the game and must be treated with medicine. To eradicate the disease, players must find and destroy the plague hearts — huge, pulsating, disgusting objects that have skeletons netted within them and are guarded by plague zombies. “I did not have that in my head, not ever,” design director Foge said, as his character spotted a plague heart while he played in Undead’s game room. It was the company’s art director, Doug Williams, who came up with the original idea. He developed a concept then teamed up with an effects and audio animator to determine how the heart moved, with a character modeler to see how characters would interact with the heart, and with technical artists to build it. Players often see an object within a game and think, “oh, cool, somebody made that,” Foge said. It’s been more than four years since the majority of Undead’s staff switched to working full time on “State of Decay 2.” Ten babies have been born to employees during that time, and all of them are honored in the game credits. Two weeks before launch, Foge says he is a bit relieved, a bit sad, but mostly excited for fans to get their hands on the game. He’s also spent time cautioning his team not to read too much into reviews. Some people are going to hate it no matter what, and some will love it no matter what, he reasons. It’s best to take critical feedback as suggestions for updates, note the reasonable praise, and ignore the flaming rhetoric. While programmers were still hunting down and fixing obscure bugs, getting ready for the ubiquitous Day 1 patch that would bring fixes that weren’t complete when discs shipped, early reviews started to roll in. It seems the team still has work to do on fixing bugs. It’s buggy, but enjoyable, many agree. “Started playing at 11pm. Just stopped at 4:30am.” Read the title of one Reddit post on the game’s subreddit. For the next few months, at least, and perhaps longer, Undead Labs will work on updates, patches and new features for the game, which will be delivered automatically to players’ Xboxes and PCs. At some point, though, he isn’t sure when, Foge says he knows the team will have to move on to the next game. He compares it to a kid heading off to college, and remembers a variation of a quote a friend told him. The game “State of Decay 2” is rated Mature 17+ for blood, gore, drug reference, intense violence and strong language.